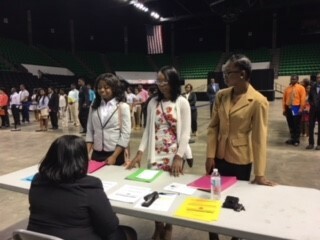 The City of Birmingham Mayor’s Office Division of Youth Services (DYS) and FOX6 launch the 2018 Kids & Jobs Program. This summer, DYS and FOX6 will put hundreds of Birmingham youth to work through this program. Kids & Jobs is designed to help cultivate the professional development necessary for youth and young adults to become an integral part of the workforce. The EXPLORER PROGRAM provides students from 16 to 21 years of age with an introduction to the workforce and a chance to explore one of the various professions offered. 2.5 GPA required. The EXECUTIVE PROGRAM provides students from 16 to 21 years of age with a unique opportunity to establish a foundation for their career path. 3.0 GPA Required.